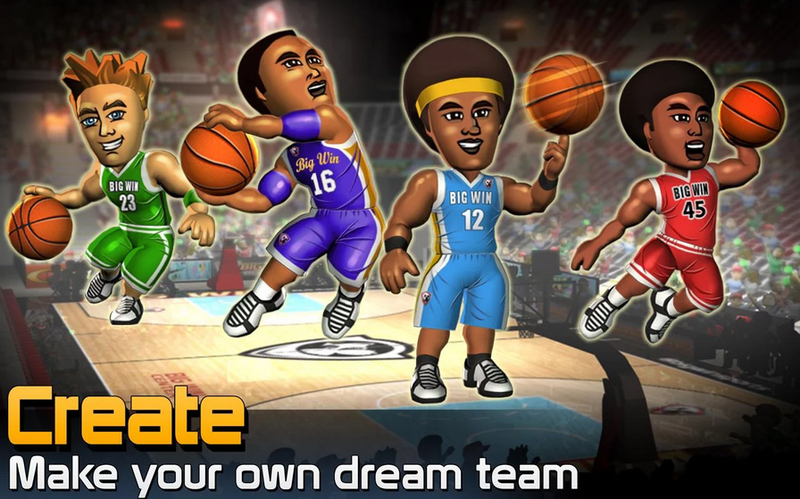 Big Win Basketball is the latest offering from Hothead Games, and this time you’ll be forming your own dream team and go up against other players around the world. Hothead has released other games like this before, and this is one of their best efforts yet. With the various card packs available, you’ll be able to assemble a winning team in no time. 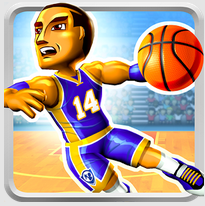 Big Win Basketball’s friends mode means you can challenge your Facebook buddies to a game, and you can also participate in the Trophy or Events mode for some serious basketball competition. There are plenty of card packs available here, and you’ll need them to form a competitive team and make upgrades. More card packs become available when you play more games, including Offensive Glass, Rainmaker and Ball Swatter Besides the card packs, the skills of your players will improve as you play more games. That’s why there is a lot of emphasis on competing because it will make your team better. The multiplayer mode is particularly effective and it can be a lot of fun to play the game against others from all around the world. But what really makes Big Win Basketball such a fun game is the multiple mode options, as they increase the replay value of the game. If you’re just new to the game, you can opt for Quick Match mode and test your players’ abilities. The other thing that makes it different is that the card packs and skill boosts really have an impact in the game, especially the Big Impact cards.